Posted on 10 September 2012 and filed under Très Chic. Karlovac was built in the 16th century. The construction of the town begun on 13 July 1579 – the town’s birthday! 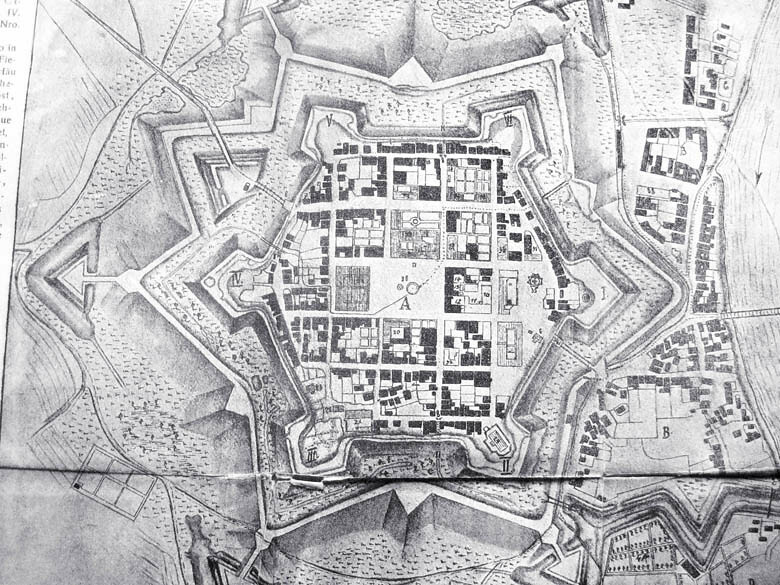 The town was build as a renaissance fortress in shape of six-pointed star. With central square and rectangular network of houses and streets inside of the star, trenches with water outside. The fortress looked like this. This is a photo of a map of Karlovac from 1779, two centuries later, taken from the book „The Town of Karlovac in Words and Pictures“ by Rudolf Strouhal from 1906. The Star looks the same nowadays. Ok, with some changes: there is no more water in trenches, parks and playgrounds are there now… You can see it here. Is there anyone who was born or raised in Karlovac and has not spend time sitting on a bench in a park just looking at trees and leaves? Or has not sleighed down trenches? Used rare opportunities to have a beer from the fountain on the central square? Spent summer evenings in Radićeva Street or had cappuccino in Town guards cafe? This list of joy and nostalgia could be long… I believe that each of us carries his hometown in the heart. Karlovac and the Star are certainly in mine. Made in honour of Karlovac, the bag has the Star and trenches hand embroidered on its front. The name of the bag is Louise. Yes, in honour of Lujzijana, the road that connected Karlovac to Rijeka in 19th century. The road got its name in honour of Marie Louise, a Habsburg princess and Napoleon’s second wife. Happy birthday, Karlovac! Thank you Marie Louise. And huge thanks to all who got interested in the bag and commented on it, I am and flattered and happy! 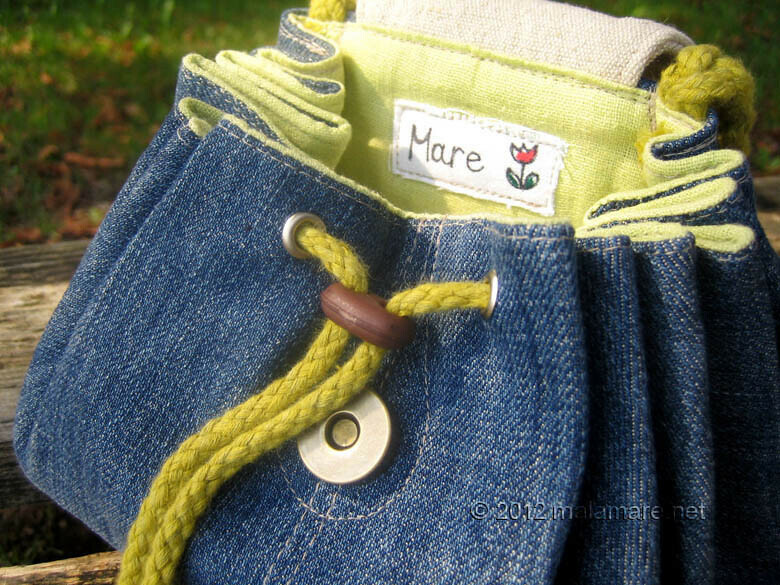 I hand made Louise handbag from blue jeans strengthened with interfacing. 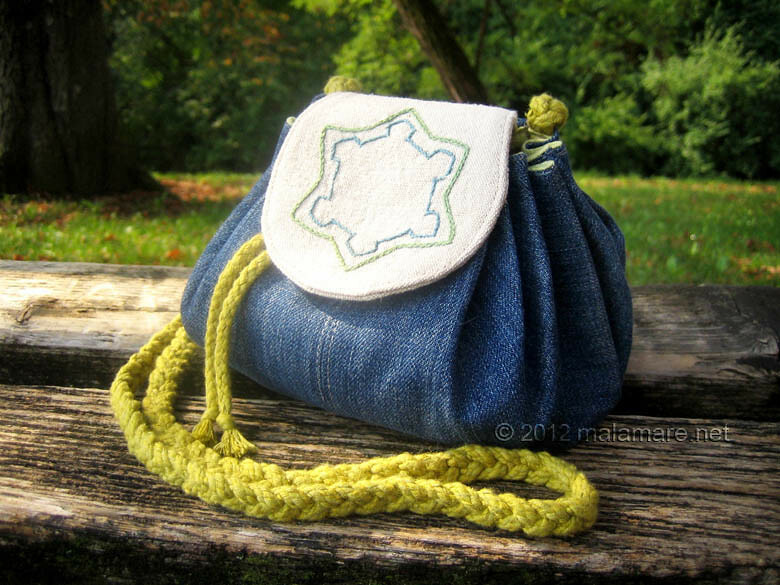 The bag is lined with linen fabric. The bag is approximately 20 cm wide and 15 cm tall when closed. Cotton cord shapes the sides of bag into rich folds and the bag closes with magnetic snap closure. Front of the bag is made from beige linen fabric and adorned with the Star hand embroidery. 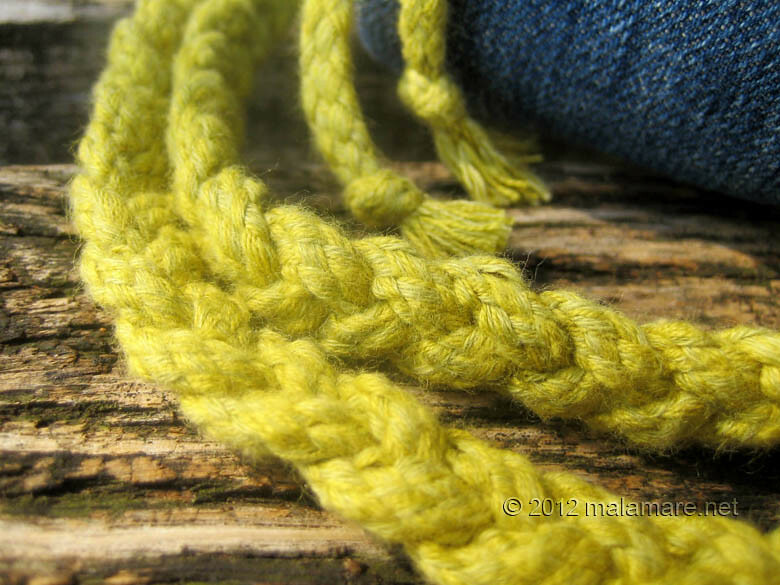 Blue cotton thread and stem stitch for walls, green and chain stitch for trenches. I malo više o torbici koja je mene jako razveselila. Zove se Lujza. Prema Lujzijani, naravno. Hi Himali! I am very sorry and quite embarrassed that I’ve been lost in time and your comment lost in cyberspace for so long… Thank you! 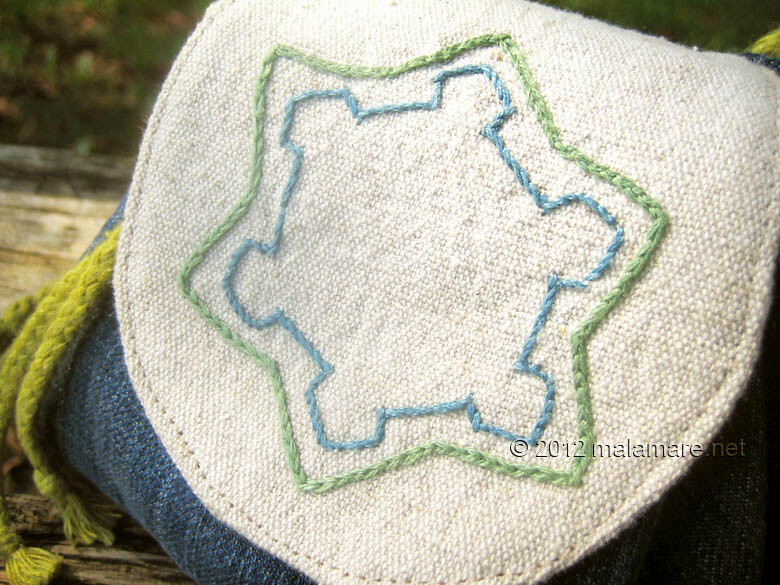 It’s fun to experiment with fabric patterns for the body and decorations on the flap for this purse. I’ll gladly make one for you, if you would still be interested, please let me know.